Lentil Mushroom Stew over mashed potatoes will take 10 basic ingredients and around 40 minutes to complete. 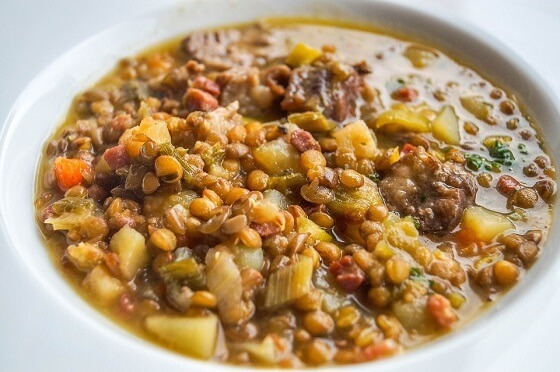 This dish is hearty flavorful and full of fiber making it a great and healthy choice. This will yield 4 servings you will need basic measuring cups and spoons along with the posted ingredients in order to complete this dish. Preparation time is 10 minutes and the cook time is only 40 minutes so this is a relatively easy recipe for the work week.